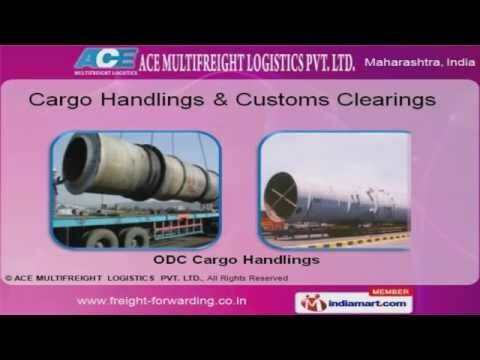 Welcome to ACE Multifreight Logistics Private Limited Provider of Logistic Solutions. Incepted in the year 2009 at Mumbai, we have spread our wings to Africa, Caribbean & Europe and are serving companies like Jindal Drillings & Accura Valves. Minimal turnaround time, Proper documentation & efficient transportation make us the first choice of our clients. We offer a vast range of services like Transport Logistics, Personal Baggage & Cargo Handling & Customs Clearing. Our Air & ocean freight services are amongst the best in the industry. We provide efficient Cargo Handling & Customs Clearing solutions. Our Shipment & Ware Housing services are extremely reliable. Along with that we offer Transport Logistic Services at industry leading prices. Our Personal Baggage handling services take away the headaches of the individual traveler.